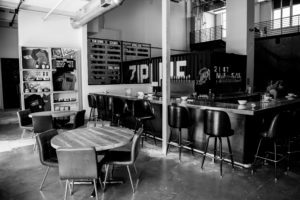 OMAHA TAPROOM - Zipline Brewing Co.
Across the street from TD Ameritrade Park, a block from Century Link Center, and embedded between Slowdown and Filmstreams, Zipline’s Omaha Taproom is designed to quench your thirst for action. Pouring fresh pints directly from our iconic shipping container, we promise to keep up with the fast pace of your busy lifestyle. Growlers, boston rounds, six-packs, four-packs, mix-n-match, and gear available for off-sale.